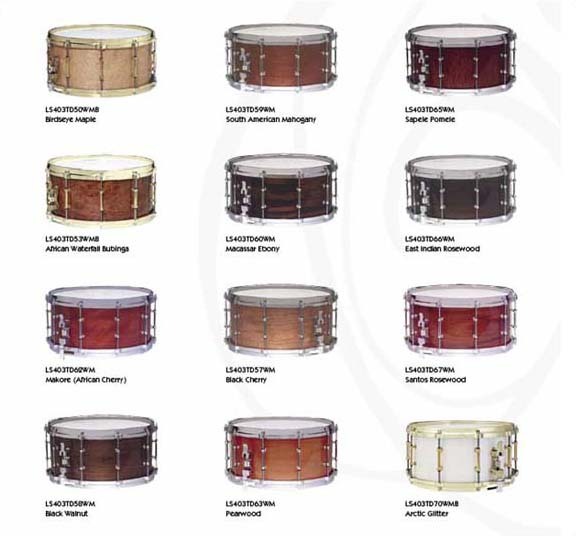 Ludwig offers the most extensive exotic wood snare drum line of any drum manufacturer. In addition to Bird's-eye Maple and Waterfall Bubinga, 9 stunning finishes from Steinway are available, along with two exciting Ludwig painted glitter finishes; Arctic and Ruby Glitter. All Exotic snares have 8 plies of maple with an outer ply of exotic veneer. Brass hardware is available on 5x14” and 6.5x14” drums. Experience the warm woody snare tone of Classic Maple teamed with the exquisite appearance of the Ludwig Exotic Series snare drums.